How can a business benefit out of website development? Well, a website happens to be an online representation of your business or services (no matter how big or small). It is the only way that people across the world can actually find out about you and your business, over the net. However, merely having a website (just for the sake of having it) doesn’t guarantee success or increase in business. This is where the do’s and don’ts of website development come into question. Over the past few years, Google has gone through several updates, and each of these has made sure that only the best sites top the search engine rankings and can be accessed by people. Hence, whenever you are about to come up with a website for your business, there are certain things that you need to remember, to make the most of your website. 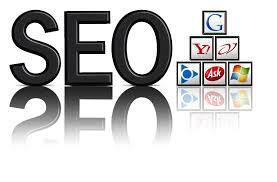 Simply put, Search Engine Optimization embodies the very substance of your site to make it web attractive and fetch you buyers. Acme Graphix serves you high page rankings coupling it with crisp content to make your website an outlier from the rest of the crowd.